During the week of of June 26th, Marv and I will at Chautauqua, New York, attending a week-long program titled Roger Rosenblatt and Friends: On Creative Expression. It’s our third summer experience trip to Chautauqua through Road Scholar. Every morning, I’ll be joining up to 5,000 folks— some from Road Scholar but mostly folk who book a vacation or come for the day — at Chautauqua’s open air Amphitheater. Roger Rosenblatt is a witty and delightful writer and raconteur who takes you right into the heart of things as he interviews each guest. For example, the first morning, he will interview, Jane Pauley, author of Skywriting, A Life Out of the Blue and Gary Trudeau, creator of Doonesbury. On the second day, he’s booked Lorin Stein, editor-in-chief of The Paris Review, Pamela Paul, Editor of the New York Times Book Review, and David Lynn, Editor of The Kenyon Review. To say that I am grateful for this opportunity is an understatement. The remainder of the presenter schedule will include songwriters Alan and Marilyn Bergman, songwriters, Ann Patchett, author of Bel Canto and Alan Alda, actor and author. It’s my habit to take notes and my hope is to share some of my learning and observations on creative expression in the summer blogs to come. While I’m away, I would like to share some of my go-to readings, blogs and podcasts on mindfulness and gratitude in the hope that you might be inspired to dip in and begin or widen your gratitude practice. I’m grateful for your taking time to read this blog and especially for the inspiration that you, as a reader, bring to me. The promise of connection and the possibility of sharing the everyday possibilities of gratitude is ever- present and helps to keep me alert and mindful of what enlivens and enriches my life. 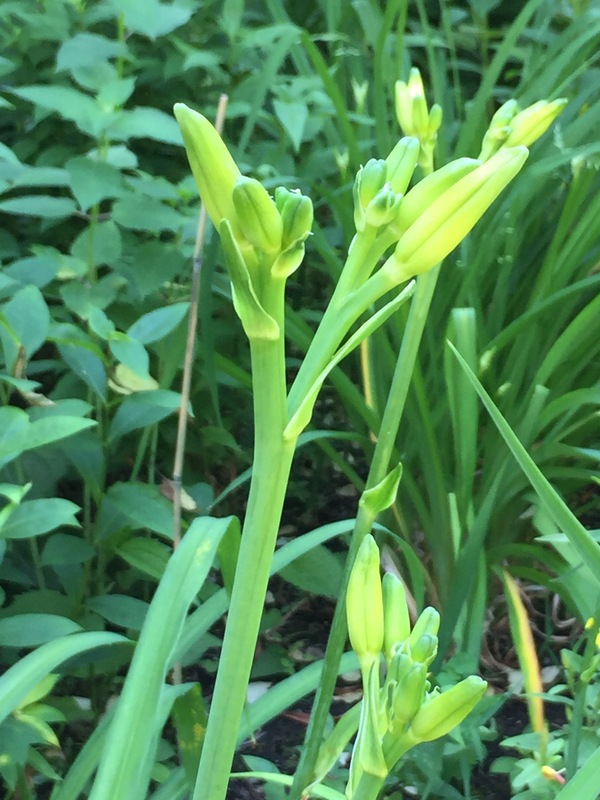 For this blog, marking the summer Solstice, I chose the picture of my lily beds filled with growing shoots. They are imbued with the promise of July blossoms and posts of creative expression. This entry was posted in Creativity, Happiness, Mindfulness, Relationship(s), Uncategorized, Well-Being, Writing and tagged aging & learning, Chautauqua, creative expression, Road Scholar, Roger Rosenblatt on June 27, 2016 by fayewriter. In my father’s world, order was essential—“everything in its place,” was his motto. Were my father alive today, he would be shaking his head with disbelief at the Orlando massacre, the fact that one man could get his hands on a quick trigger, semi- automatic rifle capable of shooting up to 45 rounds per minute. 49 dead; 53 wounded. My father was the proprietor of an Army & Navy store. During WWII, sailors, coastguardsmen fresh in port, army and air force servicemen on active duty frequented his tidy store tucked in at the base of Munjoy Hill. The essentials of the uniform, regulation attire— chimney stacks of tan, white, khaki pants, stacks of color coordinated shirts, soft caps, hats with visors and sailor caps, a showcase with bright ribbons, gleaming pins, roll-up belts—could be found, in an instant, by my father. My father was laconic, never spoke of the war stories he must have heard, never shared his reaction to the stories he read nightly— the war in Europe, the landing at Normandy, the North African Campaign, the atomic blast at Hiroshima. 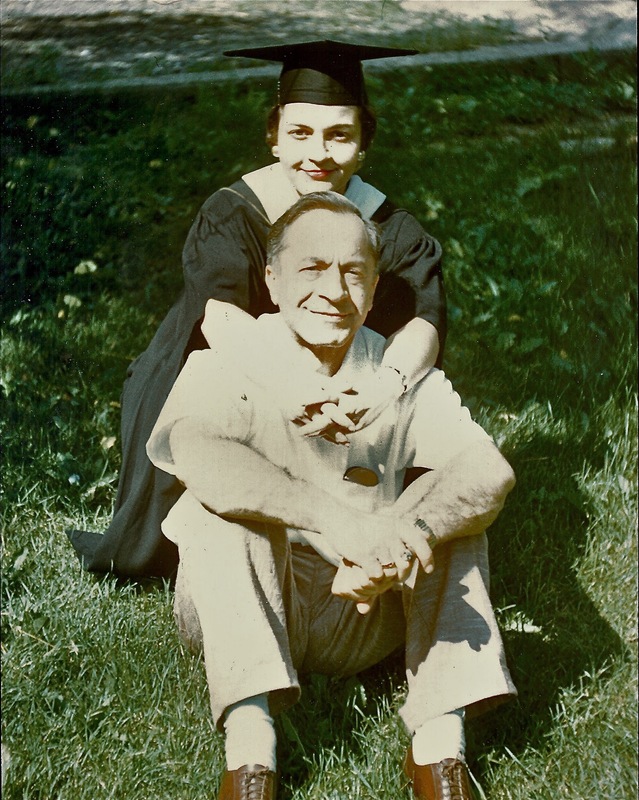 He was steady, a “provider,” in my mother’s words, of a standard of life which felt secure, a contrast to the air raid drills prompted by an occasional siren warning, the need to huddle under small, wooden desks in case of bombs falling from the sky. There was fear of the enemy afar; we were at war. The doors to the school were open, no fear of an onsite shooter with an automatic rifle, the Sandy hook nightmare, the death of 20 children. I am saddened by the loss of so many in the prime of life, yet grateful for the stories of courage and care of those who responded in the face of immediate danger. I am grateful to the police and first responders, the doctors, nurses, and health care workers, who stayed the course to tend to the wounded. I am grateful to the promise of love and a network for healing from Orlando’s mayor, Buddy Dyer. This entry was posted in Currents, Mindfulness, Relationship(s), Sustainability, Uncategorized, Well-Being and tagged father/daughter, filibuster, Orlando, Pride month, semi-automatic rifle on June 20, 2016 by fayewriter. I write letters to my dead mother. Although much time has passed since her passage to the ethereal spirit world, she is within me, floating in the space of memory, forever embedded in past stories, the root of present stories. As I age, she is more and more present— a guide, an invisible wise woman on the road ahead. As a child, perhaps, 8 or 9 years old, she had the wisdom to encourage my involvement in The Camp Fire Girls Organization. I left my safe neighborhood, took hikes in Baxter Woods, spent summers at Camp Hitinowa deep in the Maine woods, where female counselors taught me the importance of noticing a landscape, where new trees and fauna shaped or hindered our walking paths. Mom did not hike nor go to the woods. 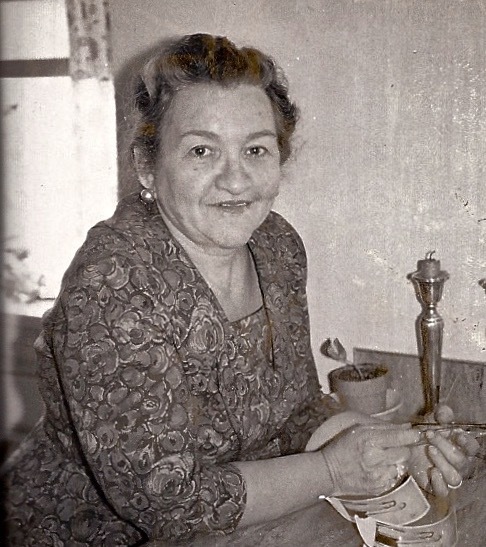 A city person, she wrapped her identity around my father, her role as wife and mother, especially after both her parents died when I was two and a half. I never knew any of my grandparents, never saw them age. My maternal grandmother died in her fifties; my Mom died at ninety-three. I had the privilege of walking alongside her as she encountered the challenges of a failing heart. She was open-minded and curious, a woman who shared her joys and worries. She trusted me; we problem solved together, especially during her latter years when her strength began to wane and it was necessary to consider options to assure her wish to live out her life as independently as possible. I am cut from the same cloth— independent to a fault. I am grateful for the lessons learned—to know when and how to share vulnerability, to ask for help, to recognize and manage my own limits. Mom lived on her own in a ranch style home up to the day of her death. Because of limited sight and unpredictable health events, she faced the dilemma of relocating to an assisted living community or inviting a caretaker into her home. With my assurance that we could place an ad in the Portland Press Herald and screen candidates for her final approval, she chose to limit her privacy in favor of maintaining her lifestyle. During the last few years of her life, she had two caretakers. With their help, Mom continued to make her special spaghetti sauce and much loved molasses raisin cookies. Months after her death, I savored the small cache of sauce in the container labeled in her graceful handwriting. No wonder, I occasionally sit down and write a “Dear Momma” letter, grateful for the steadfast memory of her voice, which comes forth as I write. She never witnessed my transition from writing poetry to writing real life stories. This entry was posted in Happiness, Mindfulness, Nature, Relationship(s), Uncategorized, Well-Being, Writing and tagged Aging at home, Camp Fire Girls, letter writing, memory & writing on June 6, 2016 by fayewriter.